Northwest Multiple Listing Service is a not-for-profit, member-owned organization of over 28,000 real estate professionals, governed by our elected Board of Directors. We provide superior systems, products, and services for the technologically savvy real estate industry in the Pacific Northwest. A multiple listing service (MLS) is an organization of real estate professionals who agree to cooperate and compensate one another in order to better assist their clients with buying and selling real estate. 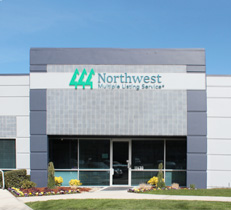 Northwest Multiple Listing Service (NWMLS) is committed to providing an accessible website.